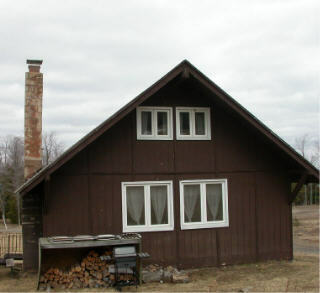 The Chalet sleeps up to four people with a maximum of six. 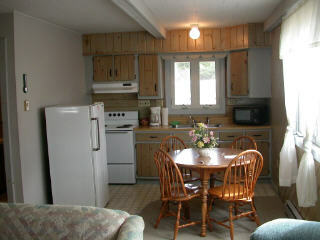 It’s a small cabin with all the comforts of home at your fingertips. There is a full kitchen. 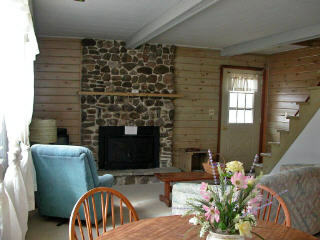 Small living room area and bathroom on the first floor. The bedroom is upstairs featuring two queen beds. In the winter it is perfect because you can easily ski from the front door to the base of our chairlift. There is a outside fire pit if you want to make a fire but they are not allowed inside. Below are a few pictures. Click here for room rates. Call us at 570-353-7521 to make a reservation today. Or email us at officemgr@epix.net .